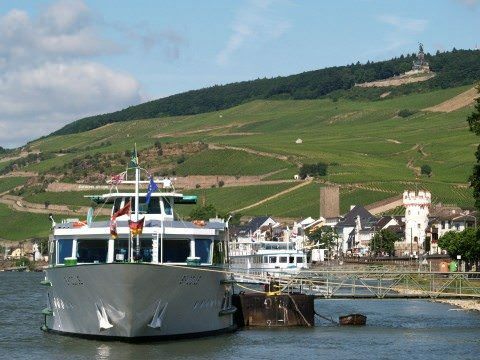 The town of Rudesheim, Germany is very river cruise-friendly. Photo courtesy of Rudesheim Tourist AG. For many travelers, the slow chug along the river is just the right pace for getting the lay of the land. Sitting on the top deck of a ship under brilliant blue skies, you gaze on fabled landscapes dotted with castles, villages and vineyards. A flight of stairs down, and you have all the amenities of a modern hotel — restaurants, bars, lounges, fitness facilities, spas, internet access and comfortable staterooms. 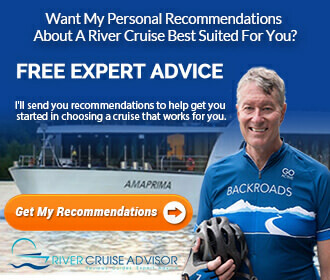 River cruises offer opportunities to step ashore in fairy tale towns and fabled cities. 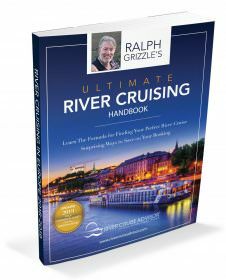 Immerse yourself in contemporary culture, and learn something about the history of the towns along the Continent’s greatest rivers. We will be taking a river cruise that ends in Nuremberg. From port when our cruise is over we would like to travel on to Munich. What would be the easiest way to travel? Train travel is very easy in Germany, and the Nuremberg Central Station is a quick 10-minute taxi ride away from the pier. That’s likely to be the fastest and most economical way to get to Munich.